Dalmatians are easily recognized by their white with black spotted coat. 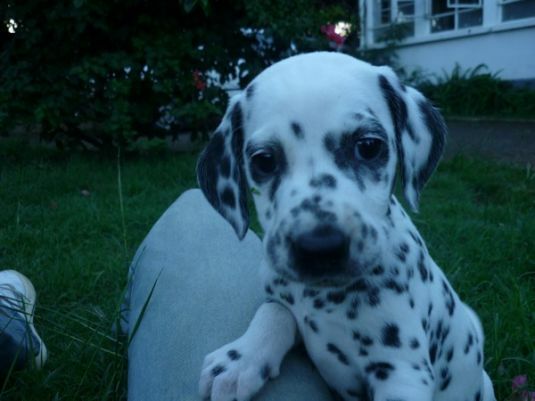 Dalmatian puppies are actually born without their spots and as they grow their spots begin to appear. They are typically very active dogs and will require regular exercise. Their spotted coat requires little grooming and only sheds lightly. Dalmatians make great family members and will do well with just about any other member of the family. Visit DogBreeds.net to learn more about Dalmatians.